Arrive at Delhi international airport. Driven towards hotel. Check-in at hotel. Unwind. Get ready for captivating light and sound show at Red Fort. Get back to hotel for dinner and night stay. red-fort-delhi-india Breakfast. Get ready for full day tour of Delhi. Visit India Gate, Qutub Minar, Lotus Temple, Laxmi Narayan Temple, Parliament House, National Museum, Rashtrapati Bhawan, Humayun's Tomb etc. Have lunch and then continue your tour and visit Red Fort, Jama Masjid, Chandani Chowk, Raj Ghat etc. shop around at the markets of New Delhi. Get back to hotel for dinner and night stay. the-taj Have a healthy breakfast and then proceed towards Agra. On the way visit the tomb of Akbar- the Mughal Emperor at Sikandra. Arrive at Agra and check-into a hotel. Relax and then head out for a visit to the Taj Mahal. Also visit Agra Fort and Itmad-ul-Daulah tomb. Shop some souvenirs from the markets of Agra. Enjoy dinner and then return to hotel for night stay. elephant-ride Leave for Jaipur after breakfast. On the way visit Fatehpur Sikri. Arrive at Jaipur and transfer to hotel. Enjoy a brief city tour and then head back to hotel for Dinner and night stay. Breakfast and then embark to Jaipur. Arrive and check-in at hotel. 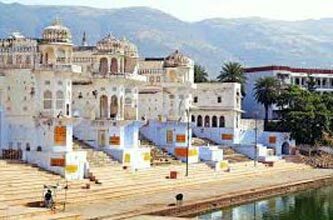 Visit to City Palace and Museum, Jaigarh Fort, Nahargarh Palace, Jal Mahal, Hawa Mahal, Jantar Mantar, Amber Fort. Enjoy a dinner at Choki Dhani. Get back to hotel for night stay. Have breakfast and then head out for Pushkar. Arrive and check-into a hotel. Visit the only Brahma in the world, other temples and ghats and Pushkar lake. Dinner and night at hotel. Leave for New Delhi. Departure.